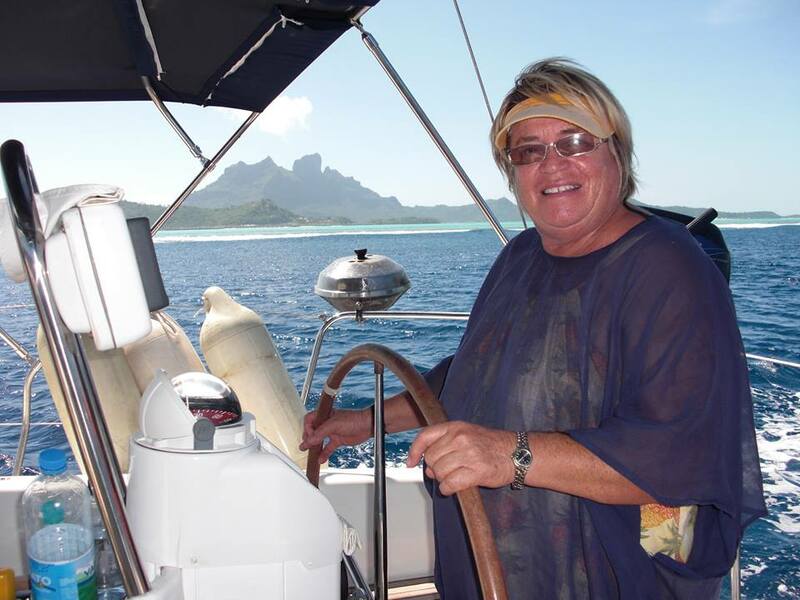 After all these years of teaching men and women to sail, Penny still gets a buzz out of people learning the mysteries of sailing a boat and provides two charter options - the Premium Exclusive Sailing Experience and the Tahiti Charter. Once sailing has enlightened you about the environment and the sea, it's really hard to give up. I know the huge amount of pleasure the practical sailing courses have given so many over the years. The great thing about sailing Endless Summer, the 47 foot yacht I used for the classes, is that she is heavy and built very strong, and able to get out in almost every condition that the Waitemata Harbour dished out. We sailed in everything and Auckland gave us a really great variety of conditions. I loved it as did the crew. My Premium Exclusive Sailing Experience, is on 'Endless Summer'. Students wanted to crew for partners, race or go offshore cruising, and all of these elements were part of learning to sail with safety and confidence aboard Endless Summer. I still firmly believe for a beginner to learn on a large yacht is so much safer and easier than on a small yacht as things can be explained and you can easily see what has happened and get a much better understanding of the yachts rigging and sails. 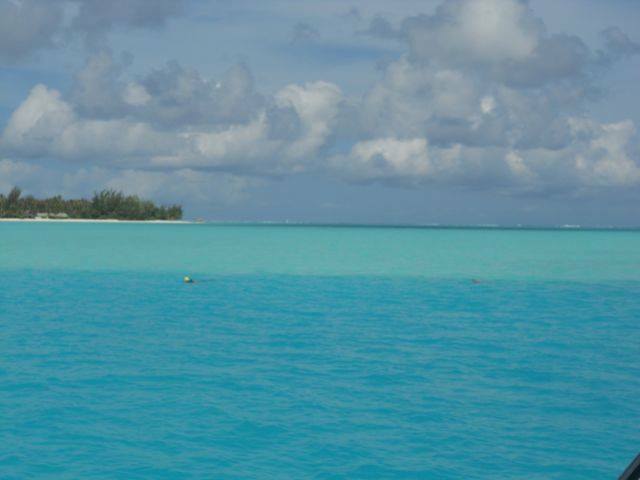 I also could take you on a Charter around Tahiti. If you would like to learn more about the theory of sailing, the Learn to Sail DVD is available to purchase or download, 80 minutes of learning to sail. One on one, live aboard Endless Summer with Penny Whiting. Cruise parts of the Hauraki Gulf on a 2 night 3 day sail, flexible times. For a one-on-one sailing learning experience, you can't beat the Premium Sailing experience. You will spend two nights and three days managing and sailing a boat, as well as learning how to live on a boat without power and electricity available at the flick of a switch. For example, learning how to conserve water is part of the lessons you will learn under the expert eye of Penny. Food and alcohol are all included in the fee - 'all found'. Other options are available depending on how many nights you want aboard Endless Summer. We will sail each day to a good anchorage for the night. You will be able to learn about living aboard, how to ration water and power and many other skills to make your boating enjoyable. 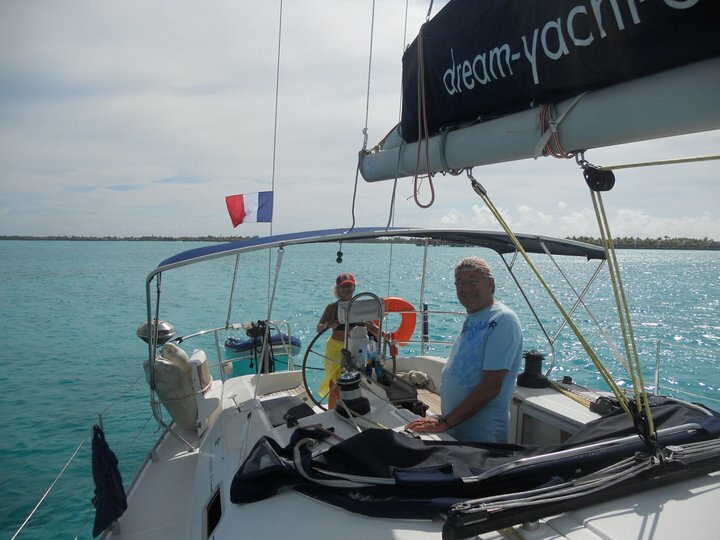 With just 2 of us aboard Endless Summer, you will need to participate in all aspects of sailing and handling the yacht including setting the anchor. The benefit of 1 on 1 just may suit you if you have plans to go sailing and cruising and want to fit in to the live aboard factors. I would plan to leave 10am and return by 4pm on day three. All inclusive package deal $3500 - includes all provisions and GST. Contact Penny if you have any questions or would like more information. Of all the training courses I’ve ever done - across work, flying, sports - I have to say this is the best one I’ve ever done. 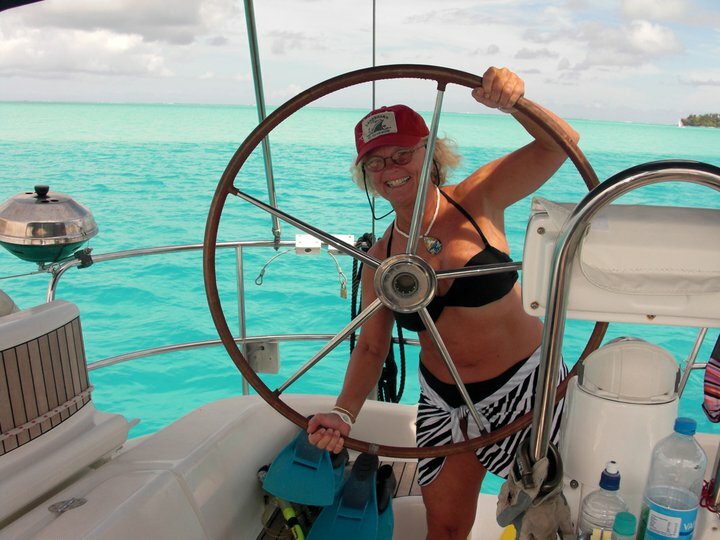 Penny’s teaching style is the perfect balance between patience, humour and passing on her clearly vast experience; as a complete sailing newcomer I felt at ease from the first lesson. It’s down to earth and most importantly great fun, can’t recommend it highly enough. My friends and I learnt how to sail with you last summer and have not looked back since you showed us a whole new world of what we are capable of. Hi Penny, Everybody seemed to enjoy their experience beside the 'royals' Friday, I did for sure. Tahiti is still the place for me to Charter. I have cruised these islands several times and love them - the swimming and snorkeling and sailing are great. The islands are just wonderful to cruise around and enjoy, relax, and take in the beauty. Its always hot and we get a variety of South Pacific weather. The big Cat yacht is very well appointed, comfortable, each hull has its own bathroom facilities, with shower and toilet. However the most popular shower is on the stern of the boat after a swim or just a cool off. The Catamarans of course can take a lot of people, however I prefer to have 2 or 3 couples and 1 single, plus me as the Captain, food provider and chef. 6 or 8 people aboard is perfect, and not crowded. Its great to have a flexible cruise that enables us to enjoy a different anchorage for lunch and then on to another spot for dinner. 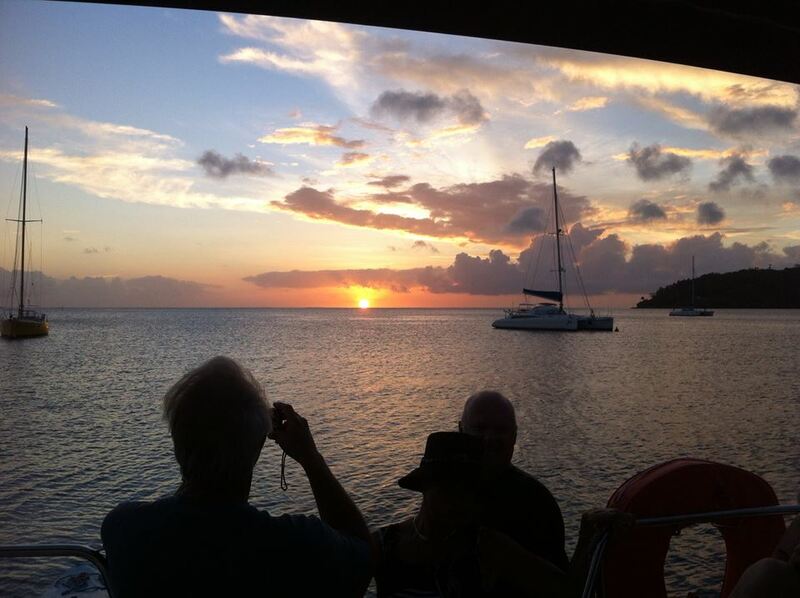 We usually eat aboard, and often go ashore for drinks and then back to the boat for dinner. There are good restaurants on all the islands and I sort of plan a couple of nights ashore for dinner or lunch. Guests are welcome to go ashore any time they choose with the other guests aboard, or by them selves. 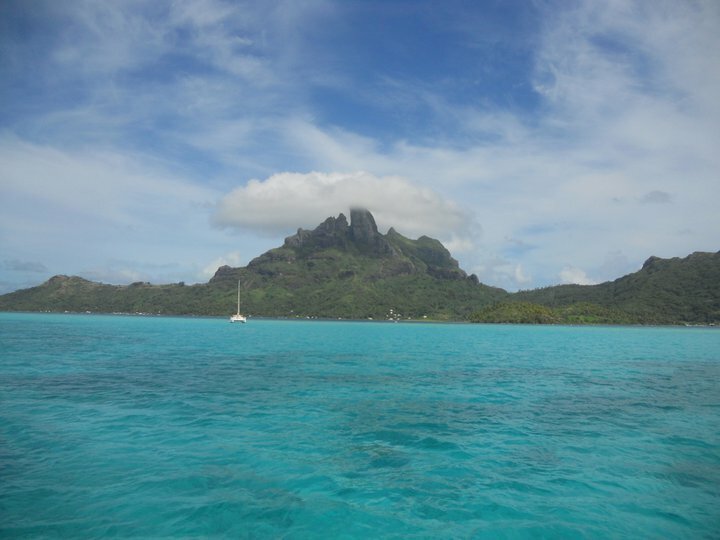 You do not have to be a sailor to enjoy a boating holiday in Tahiti with me, I love you to help me with the yacht should you choose and its great to get an understanding of life aboard, cruising in my paradise. 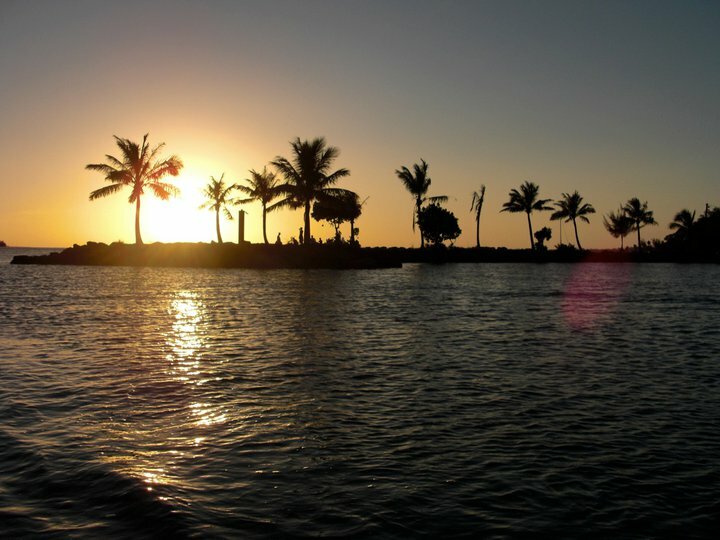 Tahiti is my choice of the pacific. The clothes you need is several bits of swimming attire, 2 or 3 cotton wraps, cool cotton cover alls, that you can get from the market in Papeete, or Raiatea. Doing Laundry is not really possible, as things do not dry in the salty conditions. Enough underwear for the cruise and cotton tops and shorts are the order of the day. Personal toiletries and medication, shampoo and salt water shampoo is real handy, with a wash of with fresh water, it works a real treat. Sheets and towels are provided. You get yourself to Raiatea by midday for the start of the cruise, we have a free day room at the local hotel if we have lunch there, before flying back to Papeete after the cruise.. I take the meat and some groceries from NZ and do the rest of the shopping in Raiatea, as it is expensive in the supermarket. There are places we can get fresh French bread sticks on the way, and top up of fruit. You should do your own drinks to consume on board. Duty free is a good idea or wine from the supermarket in Raiatea. Wine can be quite expensive. The only Extras are if we want to hire kayaks. 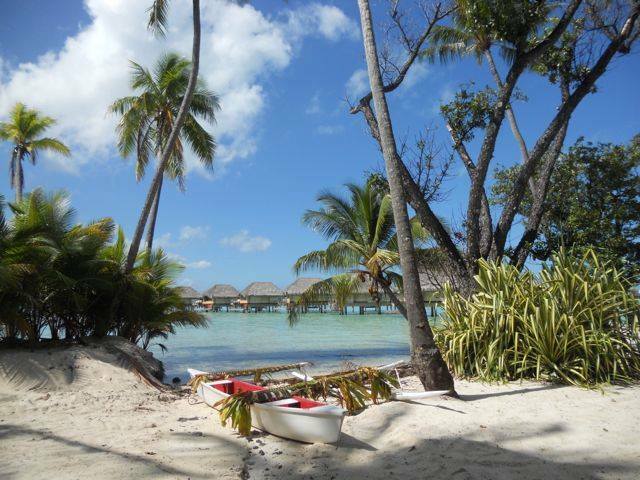 You need to pay for your own airfare to Tahiti and out to the island of Raiatea. You can stay at local Hotel before or after the cruise if you wish. The provisions are all included in this charter. Bring or buy your own wine or spirits. 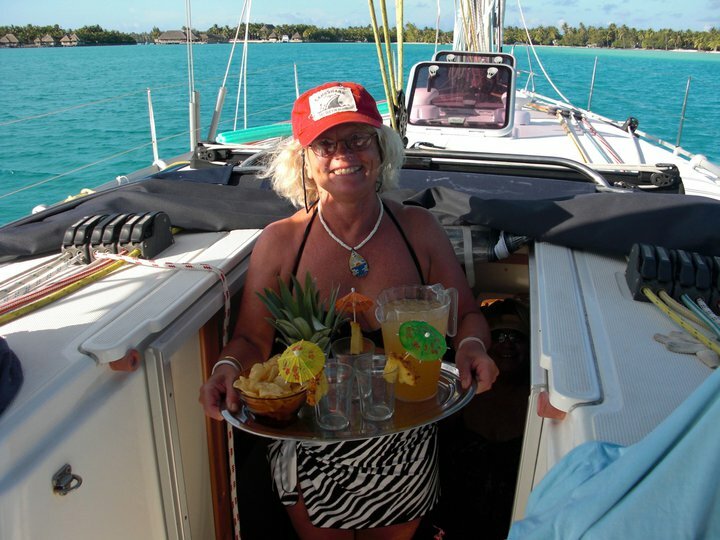 The costing for the Yacht Penny as the Captain and Chef, the insurance and the end clean of the yacht, the fuel and the food for all meals aboard is included US$3800.00* or NZ $5200.00* per person. ( Share a twin or double cabin). *Prices subject to change as per exchange rates. Should you want to place deposit for a charter, go to my Shop page. Contact Penny for more information.